After the release of the movie was cleared, the advance bookings for Kaththi are gradually being started in all theaters across the state. The screen count is likely to be more than 440 in TN. Online ticketing sites are seeing a very heavy load as tickets for the first 5 days are being sold out like hot cakes. In some theaters, tickets for the first day are only being sold in counters and the crowd at the complexes is huge. Main complexes in and around Chennai city like Sathyam, Escape, Luxe, AGS to name a few have already sold out a major chunk of their shows for the first few days while the other main complexes are expected to start their booking plans anytime now. This response from fans and movie lovers has pleased the Kaththi team indisputably. 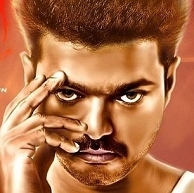 Kaththi inching closer to a release ! People looking for online information on Ilayathalapathy Vijay, Kaththi, Kaththi advance bookings will find this news story useful.